What can we learn from Shakespeare’s revisions to his plays, and what does that mean for the actors and directors who make their own changes to his texts today? Oregon Shakespeare Festival explores these questions in a new original work called Sweetly Writ, which demonstrates how Shakespeare conceived different takes on the same characters and situations in multiple versions of King Lear. There’s the version published during Shakespeare’s lifetime and the one published seven years after his death, in the First Folio. The differences between the two are “vast,” according to Lue Douthit, OSF director of literary development and dramaturgy. “There are instances where there are scenes that are in one version and not in the other, as well as various variations of word choices,” she said. For example, the “Nothing, my Lord”/”Nothing?” exchange between Cordelia and Lear does not exist in the play’s first quarto. The Jan. 9 performance of Sweetly Writ will take place at the University of Oregon in Eugene, Oregon, one of the first stops for the nationwide First Folio tour, which is part of the Folger’s Wonder of Will celebration in 2016. 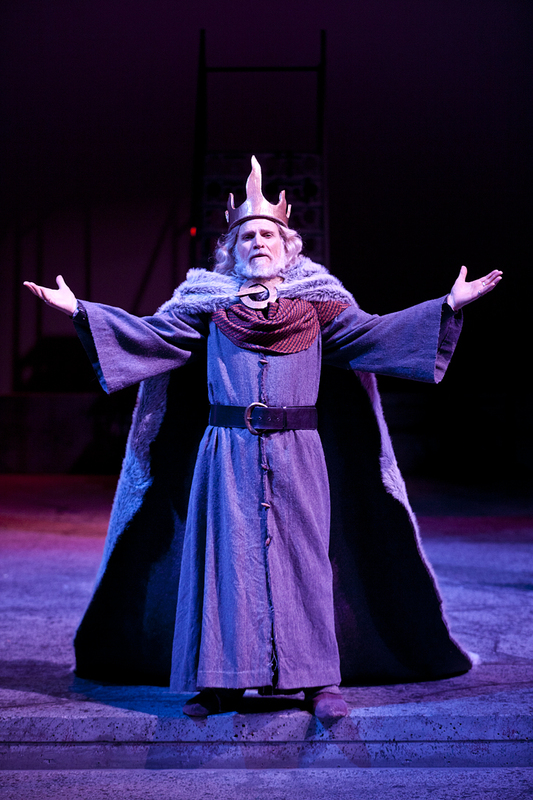 Actor and dramaturg Barry Kraft, who has been with OSF for 27 seasons, will portray Lear. OSF actors Robin Goodrin Nordli, Regan Linton, and Leah Anderson will play his daughters while Kyle Haden is playing Kent. The performance will be directed by OSF actor Terri McMahon supported by Douthit and stage manager Heath Belden. “The idea for Sweetly Writ came from University of Oregon professors Lisa Freinkel and Lara B. Bovilsky who approached OSF with the idea of partnering with them because they hoped that the Folger Folio would be coming to the Eugene campus in 2016,” said Douthit. “Terri McMahon and I set about to cast the play, and we wanted to have as diverse a group as one could have with five cast members. We have chosen a particular part in the first scene in which the three daughters are asked to speak, and we wanted to have a moment for Kent to yell at Lear. All great acting moments. What Terri McMahon has conceived, with Barry Kraft’s fine and experienced eye, is a brief scene in which the five actors will be working their way through the script, as we would in the beginning of any rehearsal period. They will read and then stop and talk about the text. What are the actions inherent in the words? What are the differences between the quarto and the Folio? How do the differences affect the intention and motivation and action in the moment? They will work through the scene in this manner. We will project the different scripts side by side so that the audience can follow along with the differences. At the end of this examination period, the actors will then perform the scene, in a conflated version, so the audience can see the outcome of the discussions. What we hope to convey to the audience is the depth of examination that goes into each Shakespeare production at Oregon Shakespeare Festival. We are earnestly committed to explicating the text from all angles—literal, metaphorical, symbolic, poetic, emotional—in hopes of making specific choices in each moment that will be clear to an audience. If it weren’t for the publication of the Folio in 1623, there are 18 plays that we might never have known. The inestimable loss to art, literature and culture is poignant enough. But the Folio means something else to those of us who work on the plays. It represents the closest to a collective “author” intent that we have at this point. And it demonstrates the fluidity of play texts. Even when in print, there is slippage between drafts and circumstances. A show on the road may not have included all of Hamlet, for instance—just as any production anywhere now must take into account the components of the particular circumstances of the production. 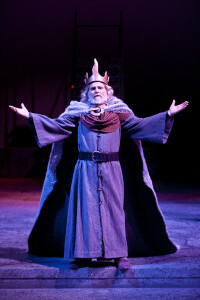 Oregon Shakespeare Festival is a partner of the Folger Shakespeare Library.